This blog is a guest post from Quadriga Health and Safety – experts in keeping employees and experts in keeping employees and business healthy and safe at work. Office health and safety is often overlooked in business. Many office jobs, like sitting at a desk and typing at computer, don’t seem to suggest much risk. However, working in an office environment can present many hazards each day. If your business is based in an office, or includes an office, as a manager you have a legal responsibility to keep that environment safe for people to work in and ensure that effective fire precautions are maintained. This blog explains what you should consider to provide good health and safety in an office. When you employ five or more people, you have a legal obligation to have a written Health and Safety policy. Part of the process of putting together a policy is to carry out a risk assessment. In an office, this should involve identifying the hazards and risks across the whole office area and evaluating them, before making changes and putting processes in place to mitigate them. A fire safety risk assessment is also required, laying out how fire risk is minimized and what precautions such as fire alarms, fire extinguishers, emergency lighting, fire doors and staff training are required. Hazards and changes could include removing computer wires that are trailing across the floor, or placing a carpet along the floor of a slippery corridor. You should record all the information – hazards, changes you make and the controls required – and keep it on file for future reference. •	Wedging fire doors open. To prevent such accidents from happening, you should put processes in place and make sure your staff follow these rules whenever working in the office. One way to do this is to have each member of your staff complete a health and safety induction, including new employees when they join your company. This could involve them watching official videos about potential hazards in the office and how to avoid them, as well as training sessions about the safety procedures they should follow. You could also provide leaflets and display posters to remind staff about office safety. Also consider a first day induction on fire safety, the importance of fire precautions such as keeping fire doors closed, how to raise the alarm, how to evacuate the building and the escape routes and assembly points. •	Taking part in regular fire drills. •	Knowing what to do in the event of a fire, including training on how to raise the alarm, use a fire extinguisher and the process of exiting the building safely. To ensure that staff carry out such processes correctly, you should also provide the right equipment for them. This includes items like stepladders and adjustable office chairs, as well as an accident book to report any accidents that take place. You should always ensure you provide effective health and safety, whatever company you run, whether it’s an office, shop or factory. With our expert health and safety service, we can provide you with what you need to keep you, your team and your business safe. We hold regular training courses and seminars and can also provide you with tailored consultancy. To find out more, please call Quadriga on 0118 929 9920 or click here to email us. The thought of retirement for the employee can be mixed – a relief, exciting, or even tainted with a dread of the unknown. Especially if they haven’t made any firm retirement plans. Alternatively, they may be planning to work until they’re 70, as recent research undertaken by the CIPD shows that many people feel this will help them to remain mentally fit. Whatever the employee’s feelings about retirement, as an employer you need to be as supportive as possible on the lead up to retirement. You also need to be careful about how you approach people who you feel may be nearing retirement age. It could be that your employees don’t want to retire yet, and you may be accused of age discrimination. Due to a change in the law introduced on 6 April 2011, employers can no longer compel employees to retire at a specified age, unless the requirement to retire is justified objectively – for instance, if your organisation relies on a certain level of fitness to perform their job functions effectively, such as within the construction industry. This change in legislation means that employees can choose to retire when they want. The law now means that you cannot use retirement as an excuse to dismiss employees who might be experiencing difficulties with their work, for whatever reason. Instead, all employees of all ages should be treated fairly and equally when appraising past performance, or when providing training and development opportunities. Doing this regularly will help to prevent capability issues from arising. Treating older employees differently from younger employees could amount to age discrimination, which could, unless justified, be unlawful. For example, if you disregard inadequate performance on the part of a 65-year-old employee on the assumption that he or she will be retiring soon, but deliver heavy criticism to a 25-year-old employee whose performance is similarly inadequate, the difference in treatment would amount to age discrimination. Similarly, if the employee indicates during an appraisal interview that he or she is considering retiring soon, take care not to discriminate against him or her. Instead, you could begin to make future plans if the employee does decide to retire. Do continue to treat the employee in the same way as you would treat other employees, for example in the provision of training opportunities. Do adjust the employee’s performance expectations proportionately if they indicate that they would like to work reduced hours in the run-up to retirement, and if you can accommodate this. Do discuss with the employee how they could pass on their knowledge and skills to other staff in the run-up to retirement. Do discuss succession issues with the employee, for example how they might be involved in training a replacement for the job. Do reassure the employee that they can change their mind about retirement if they wish. 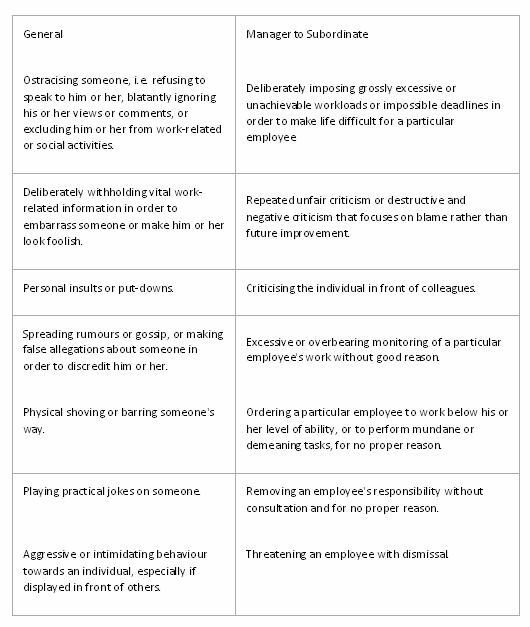 Don’t say or do anything that might amount to age discrimination against the employee. Don’t assume that, if the employee indicates that they plan to retire at a particular time, they will do so. Until the employee actually hands in his or her notice, communication of an intention to retire is not binding on the employee. You could, however, remind the employee of the requirement to give notice under the employment contract, and the length of the notice period. By being mindful of both your legal requirements and your employees’ needs, and acting accordingly, means that your business is not only helping your employee during this often difficult transition in their lives, but you are also protecting, or even improving, your organisation’s reputation as a good employer. For any further advice on how to help your employees retire well with the least disruption to your business, do call me on 0118 940 3032 or click here to email me. Mismanagement of annual leave can have a dramatic impact on your company’s business, as demonstrated by Ryanair’s cancellation of hundreds of flights after it admitted “messing up” the planning of pilots’ holiday in the summer of 2017. Allowing staff to build up too much leave and not spread out their holidays over the year can be a major problem for you. This could occur if there is an excess of work to do or if the business is struggling because of the economic climate, meaning that employees feel they are not able to take annual leave without putting their jobs at risk. You should encourage your employees to plan and take annual leave. The responsibility for monitoring it is usually allocated to line managers, who should check their employees’ annual leave balance and remind them that they need to use the holiday up by the end of the leave year. Do encourage your staff to submit dates for their holiday as far in advance as possible. Do review regularly whether or not employees have taken, or at least planned to take, some of their holiday. You may be tempted to offer staff a cash substitute in return for giving up their annual leave entitlement. However, it is a fundamental principle of annual leave law that employers can’t give employees payment in lieu of their minimum statutory annual leave entitlement (i.e. the 5.6 weeks guaranteed under UK law). The exception to this is on termination of employment. When an employee leaves a job part way through the holiday year, they will be entitled to be paid for any accrued statutory holiday not taken by the date they leave. Don’t give in to employees’ requests for pay in lieu of holiday. You could consider allowing employees who have not taken their full entitlement to carry over holiday into subsequent leave years. Current EU law prevents you from carrying over the first four weeks of your employees’ statutory annual leave, except when an employee is unable to take the leave because of sickness absence. Beyond the first four weeks of statutory annual leave, you can allow employees to carry forward periods of holiday. If you do, you should have a rule requiring the excess leave to be used up within the first few months of the next holiday year. Do remind your employees now and then how much annual leave they have outstanding. Do ask any employee who hasn’t taken any holiday or submitted any holiday dates by a certain date – such as the middle of the holiday year – to book some holiday dates as soon as they can. Don’t wait until near the end of the holiday year before reviewing whether or not employees have taken all their holiday. Don’t make staff feel guilty about taking holiday. One of the biggest dangers for employers is the effect on the business of allowing too many employees to take time off during particular periods, typically in the summer or at Christmas. Line managers can sometimes be reluctant to turn down employees’ holiday requests, particularly if an employee has already booked a trip or has a family commitment. However, as their employer you don’t have to agree to a worker’s request to take holiday at a particular time, unless the contract of employment contract says otherwise. You should have a clear policy on holiday requests, such as ‘first-come, first-served’ approach. Line managers should be brave enough to turn down holiday requests (with the correct notice) when the timing of leave would cause the business difficulties. Do ensure that holiday leave is planned in such a way that the department has adequate cover at all times. Don’t leave the matter of holiday to chance. Don’t take the view that it’s up to each individual to decide whether or not they want to take holiday. The calculation of holiday pay needs to be done correctly and can no longer be based on just an employee’s basic pay. Case law has established that pay during annual leave should now include other payments such as overtime pay (both compulsory and voluntary), standby/call-out allowances, shift premia and travel allowances. You need to decide on a sensible approach to holiday pay calculations, including the length of time used to calculate the average and what allowances should be included. These are probably the most common issues of annual leave that you will face an employer. Encouraging your employees to take their full allowance of holiday is not only good practice for the business – it is also vital for the health and welfare of your employees. Ensuring that employees take regular time off will help you to build a stronger, more productive workforce in the long run. If you have any questions about dealing with holiday issues, do get in touch by calling 0118 940 3032 or emailing me here.